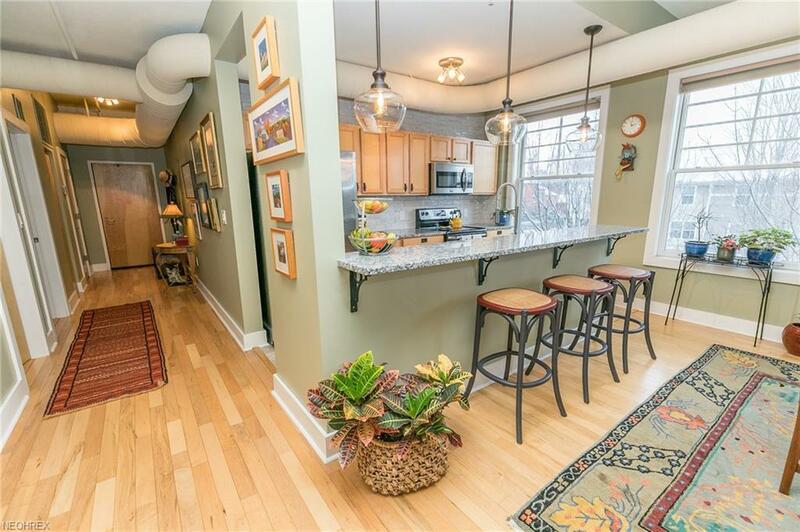 This contemporary Franklin Lofts Condo(former West Side YMCA building) is situated in the Ohio City Historic District! You will appreciate the tall ceilings, bright open layout & many important updates & improvements completed for you to move right in and enjoy! Beautiful hardwood floors flow from the inviting foyer into the great room. 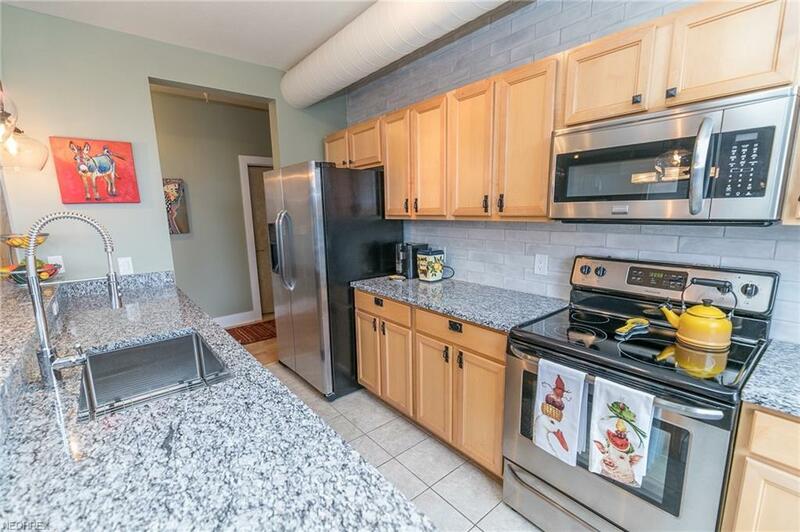 The tastefully remodeled kitchen(2018) boasts granite countertops, tile backsplash, pendant lighting, breakfast bar and included stainless steel appliances(2008). The kitchen opens to the large great room w/ walls of windows, central dining space & lovely living area. The master bedroom supplies a stunning en-suite bath w/ a large tiled walk-in shower and double sink vanity! A nice guest bedroom, 2nd full bath and convenient laundry room w/ washer & dryer completes the inside of this must see condo. 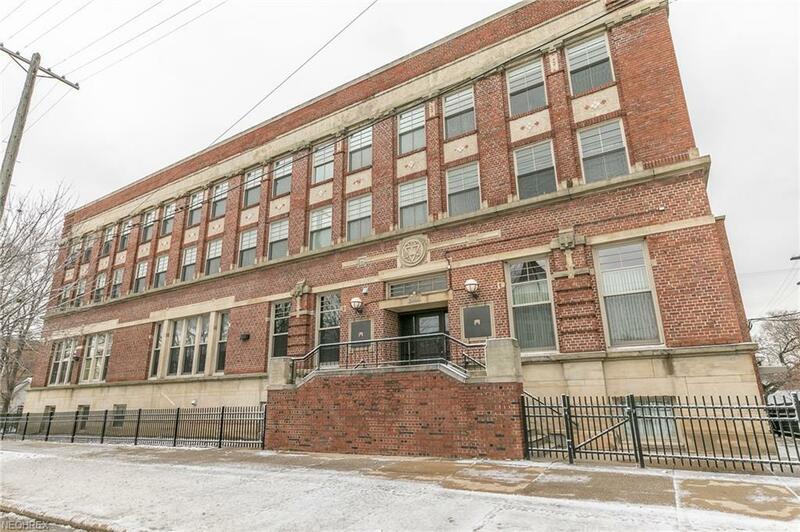 More great features include a one car garage, storage locker, a front lobby w/ security key pad, fitness room and roof deck with amazing views of Lake Erie and downtown Cleveland. Windows(2008), Heat Pump(2017) w/ smart touchpad thermostat, ceiling insulated & one year home warranty provided for peace-of-mind. 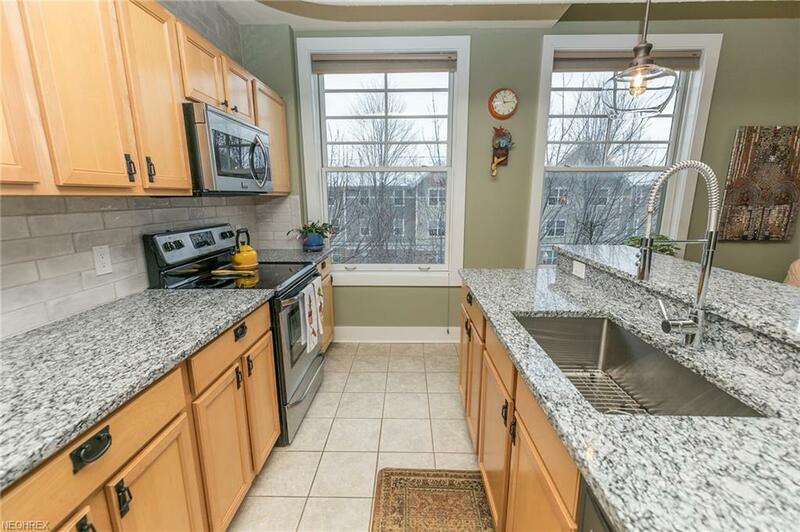 Fantastic location near Hingetown, Westside Market and all the fun Ohio City & downtown Cleveland has to offer!